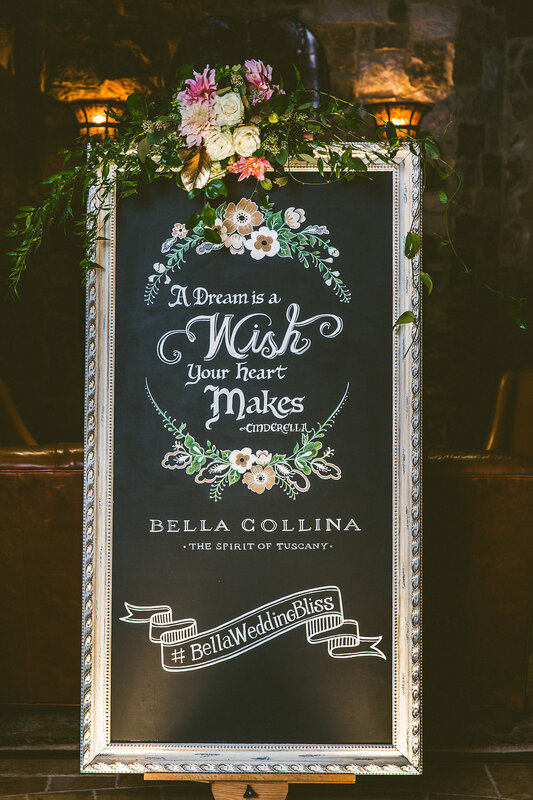 We were truly honored to be a part of Bella Collina‘s recent event, “A Night of Wedding Bliss.” The evening was devoted to wedding luxury in all its facets. 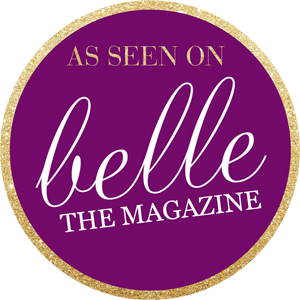 All of the wedding venues of Bella Collina were decked out by some of the finest wedding professionals in Central Florida. 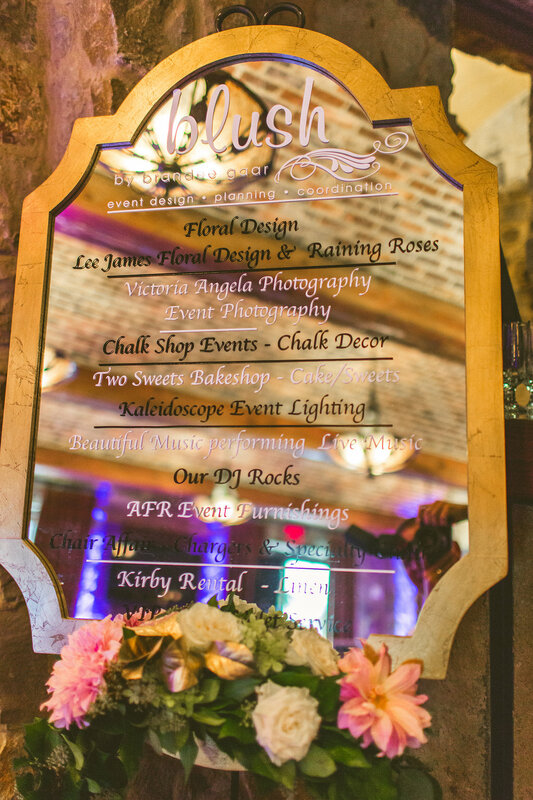 These photos by Concept Photography are just a taste of what we designed and doesn’t even showcase HALF of the beauty of the night that was created by our colleagues. Well done, everyone! 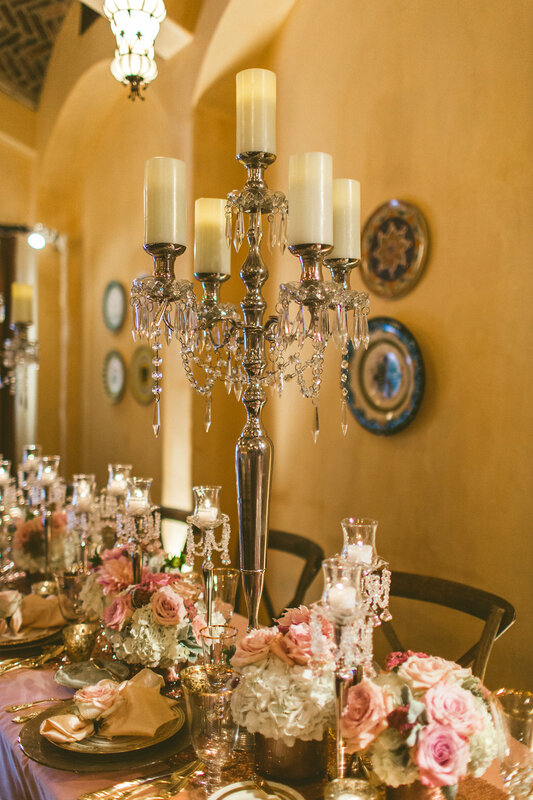 We worked with Blush by Brandee Gaar to outfit the small dining room with three very different looks on each of the long dining tables. 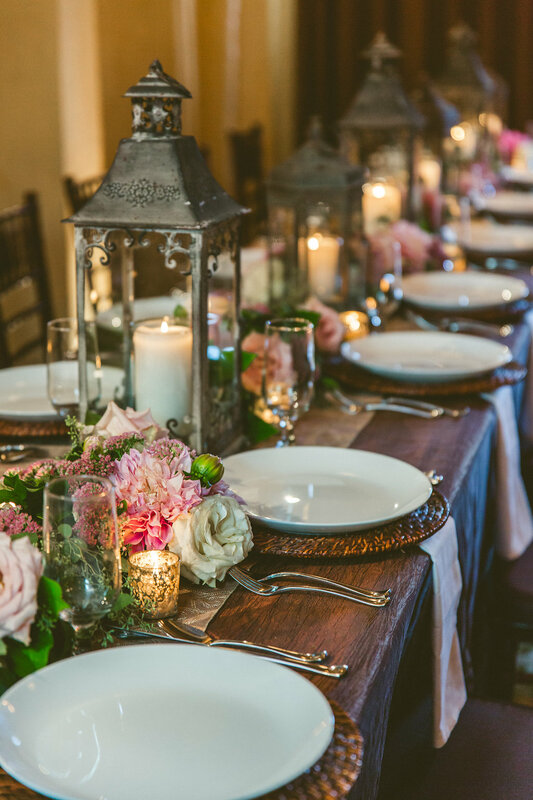 Linens by Kirby Rental and decorative items by A Chair Affair really made our tables come to life. 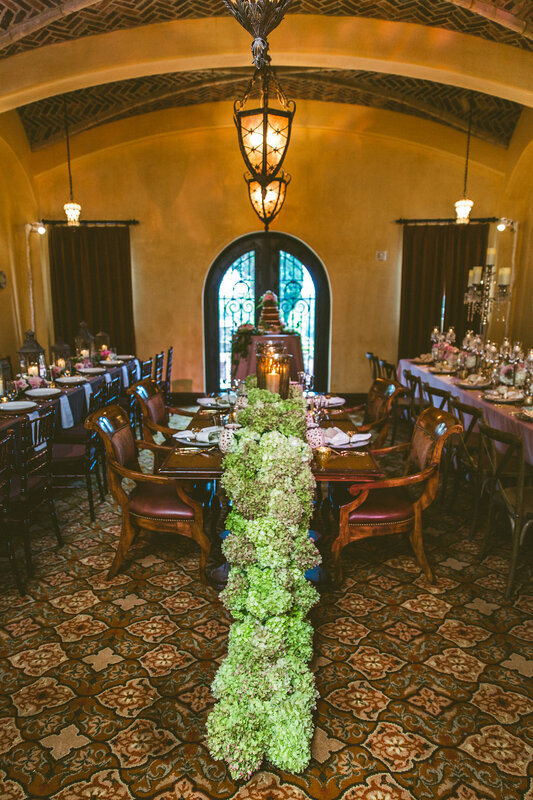 On the central table, we created a dramatic floral table runner out of green hydrangea. Warm-toned hurricanes, lanterns, and votive holders glowed against the rich, glossy wooden table. 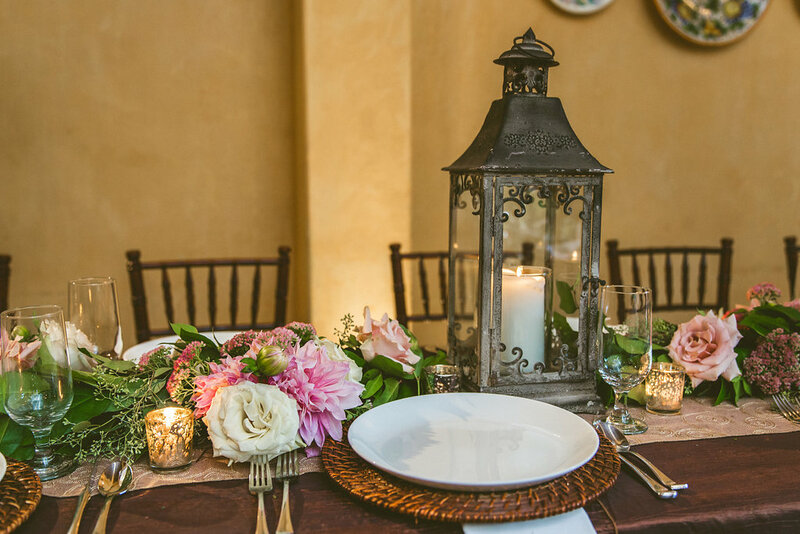 Another of our tables featured ornate metal lanterns and woven chargers for a garden feel. For our floral garland, we used a variety of pink and white blooms with plenty of greenery so that the look was natural and carefree. Our third table was all about shimmer and shine. 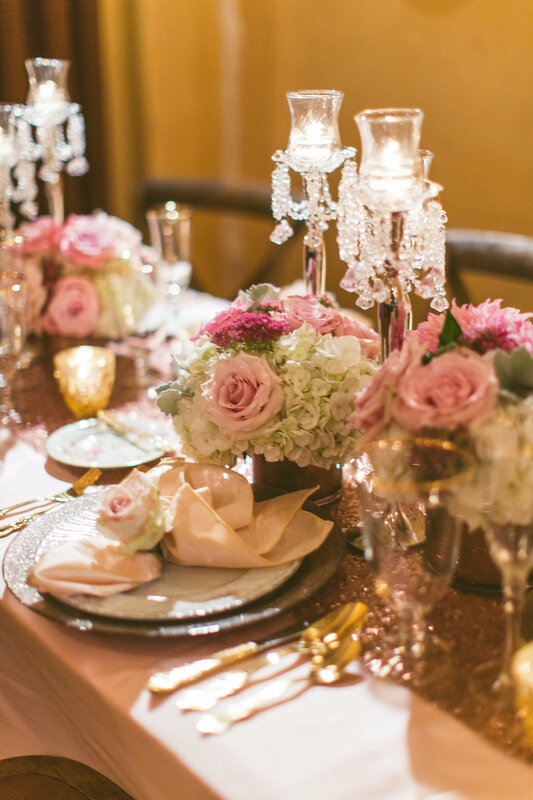 Glitter table runners set the stage for crystal candelabras, gold flatware, and glimmering chargers. 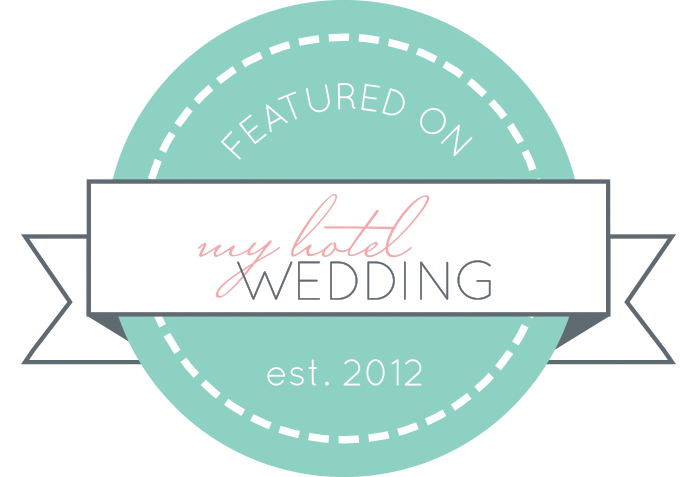 Our floral pieces were tight and composed, with classic wedding favorites: white hydrangea and pink roses. 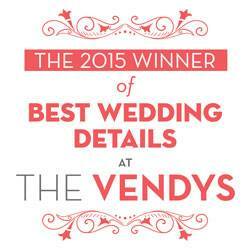 A sweet rose was added as a special touch to each napkin. 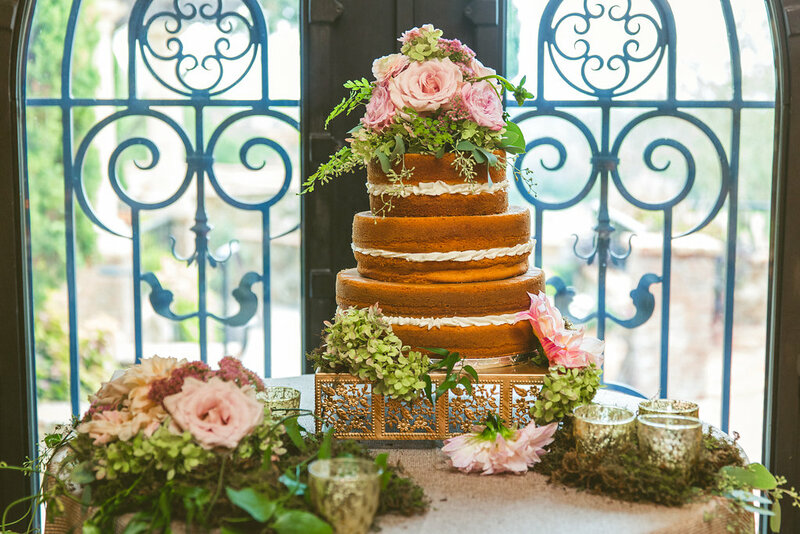 Finally, we added the perfect floral touches to bring the naked cake by Two Sweets Bake Shop to life. 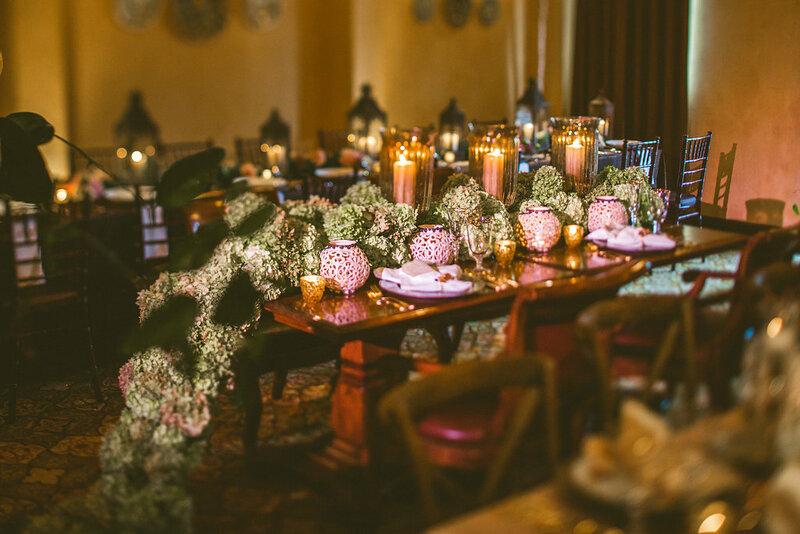 Just like the rest of the room, we used pink floral and greenery that balanced between formal and casual.